Micropia is the first museum of its kind, displaying the invisible world of micro-organisms that is sure to win your heart. The destination offers some of the best views which are otherwise not visible by the naked eye. Visit the destination for a truly different and fun-filled experience that you can enjoy with your friends and family. An entertaining and learning experience is what the destination offers. Take a tram or bus from Amsterdam, Artis. People normally club together Science Centre Nemo and Leidseplein while planning their visit to Micropia. Very entertaining and has lots of descriptive information about microorganisms and pathogens. I really enjoyed it! Personally, even though it may be a bit scary to see, I found really interesting seeing how the body of a real giraffe changes after its death over the years (it died of natural causes, of course). Amazing experience! Good for both kids and adults. I had a lot of fun. I went there for the museum night and had a great time. Kids over 8 will love it, not so suitable for smaller ones. Best museum ever!!! Very interactive! Learn about the tiny powerful microbes, scan your body and learn what lives in you, watch ants build a fungi castle, check out the poop collection and many many more! You can easily spend there 2-3 hours! 😍 And finally i had the chance to hug an intrepid waterbear! What an experience! 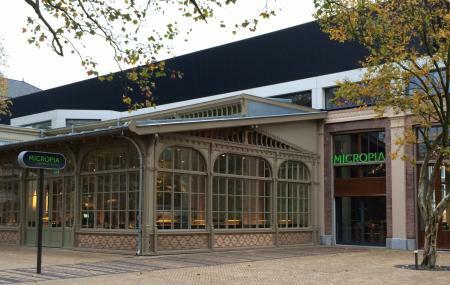 Very nice museum about microbes. Detailed oriented, but also suitable for childeren. Very nice ant farm. Get all the stamps and explore the various sizes of the microbes at the end.